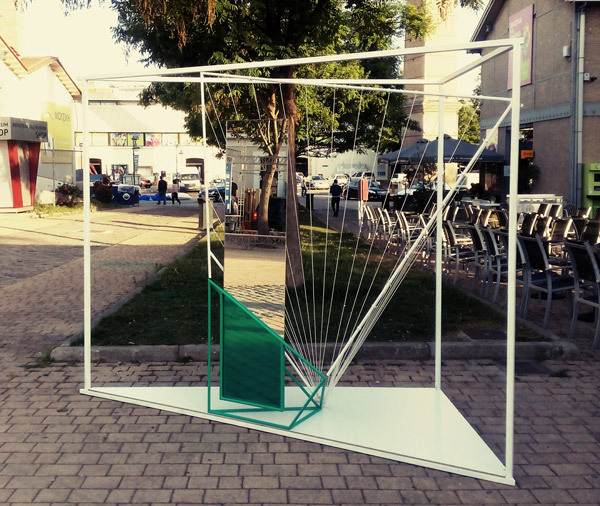 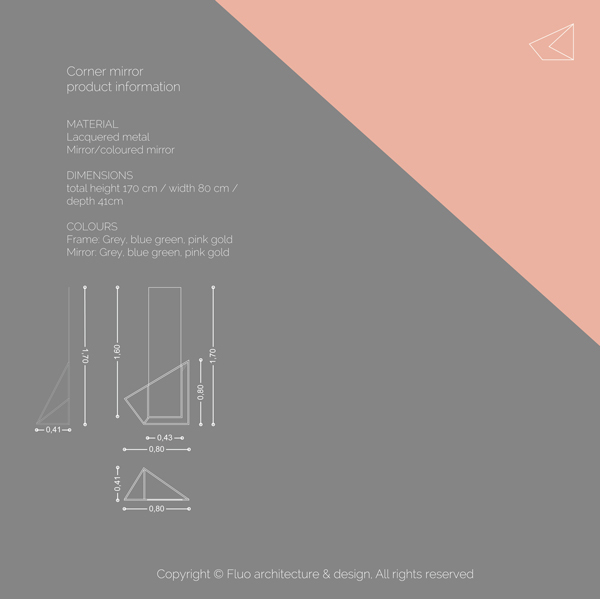 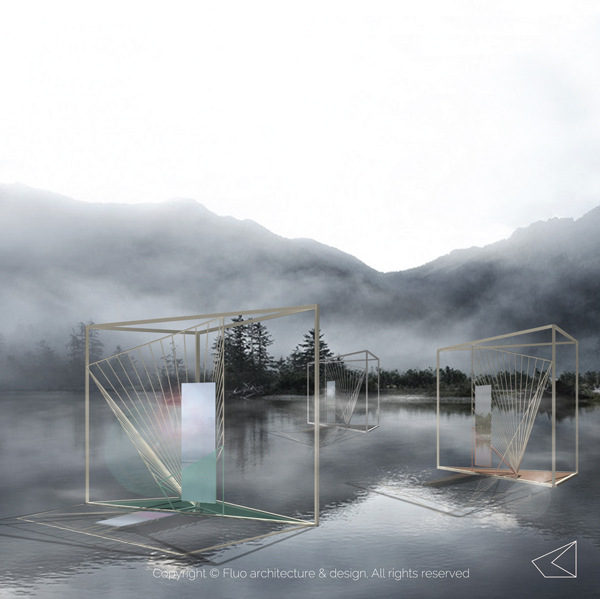 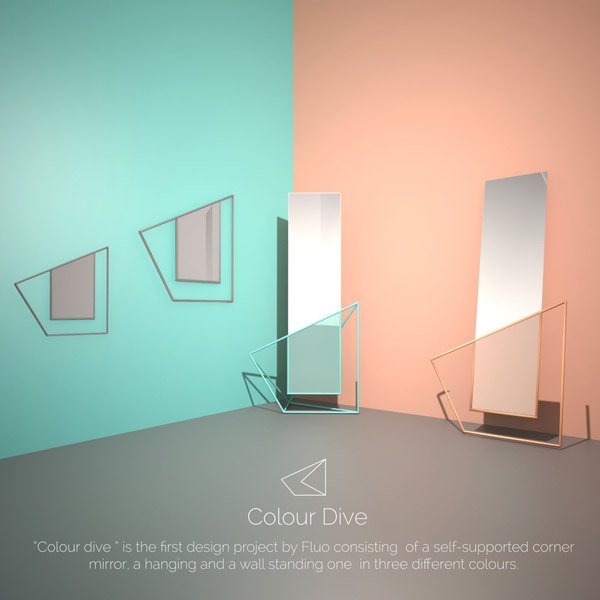 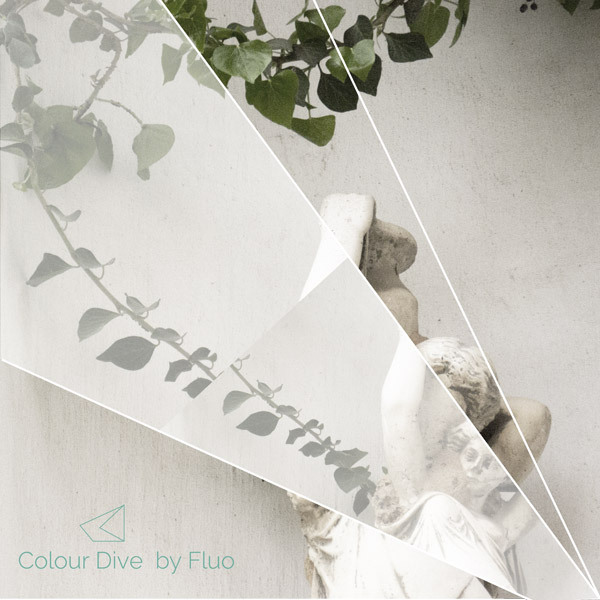 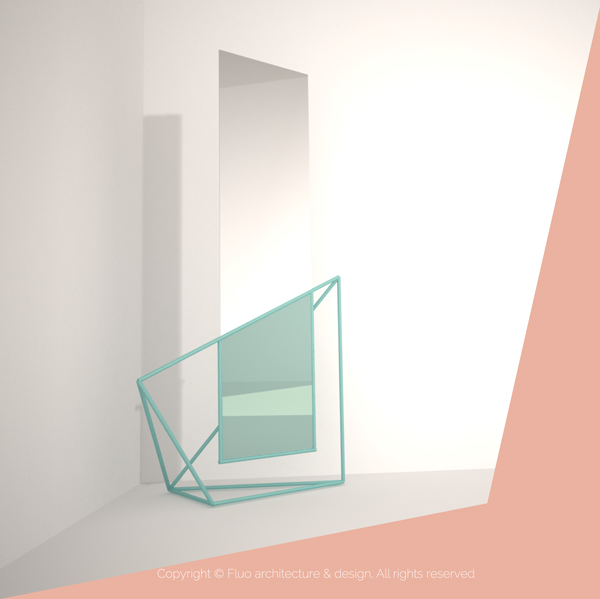 ‘Color dive’ is the first design project by Fluo architecture & design. 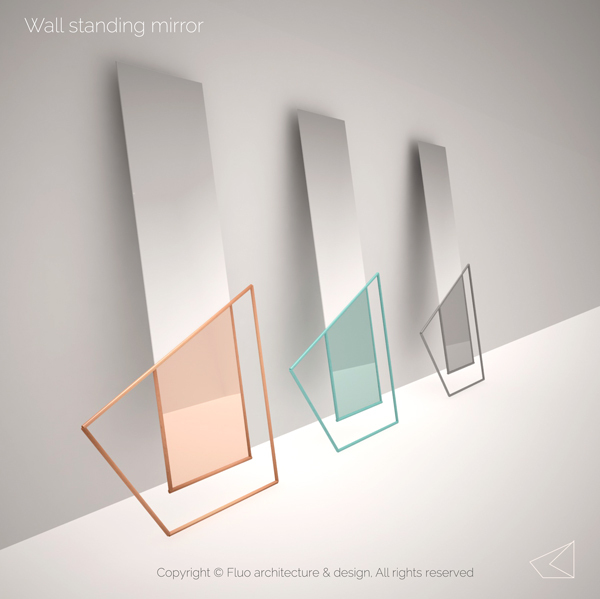 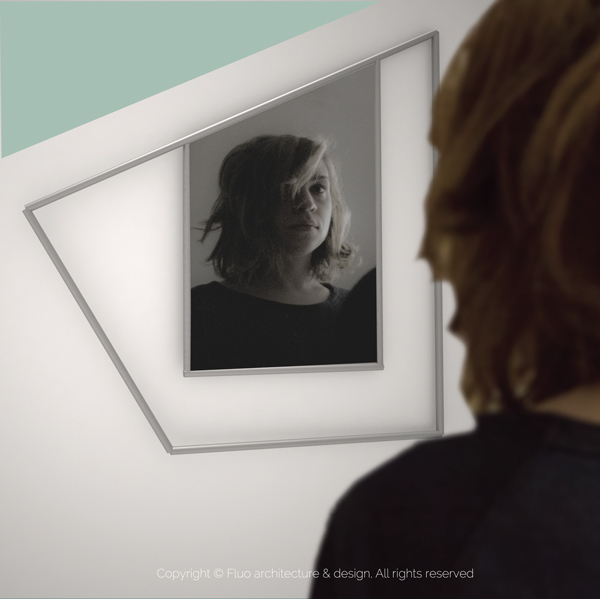 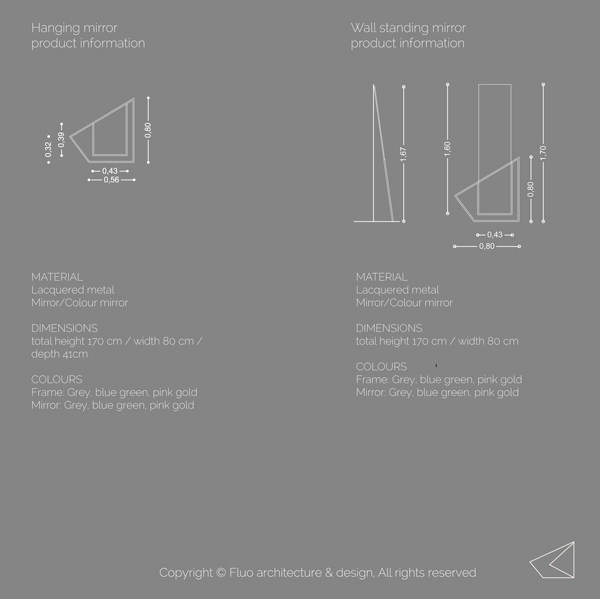 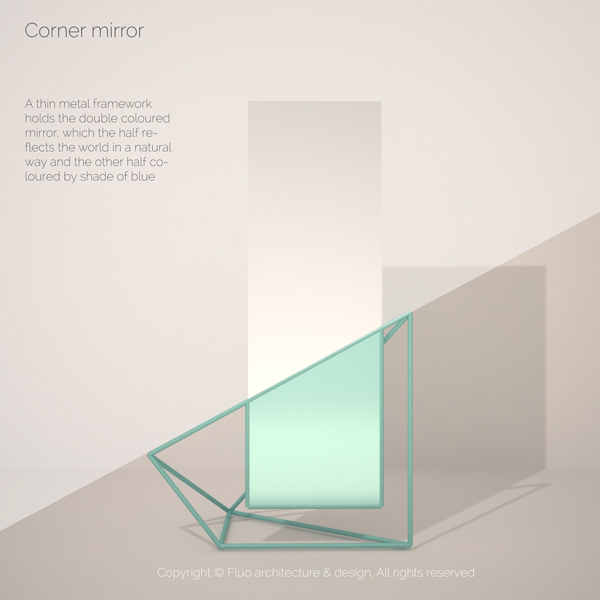 A series of mirrors, in three different colours, with a self-supported corner mirror, a hanging mirror and one that can stand against the wall. 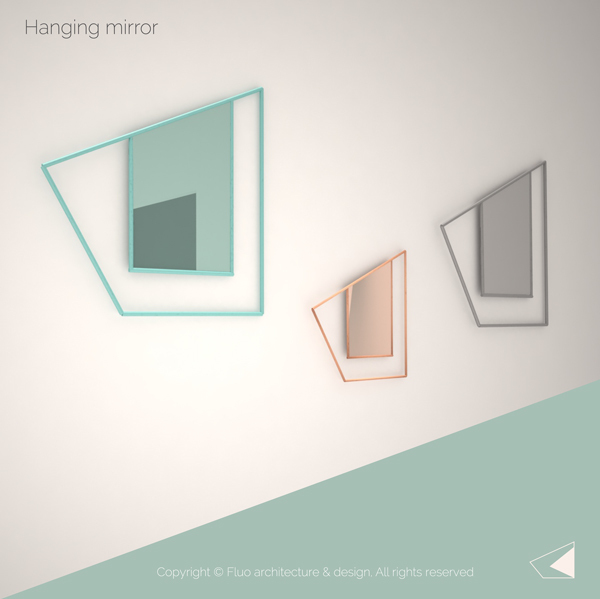 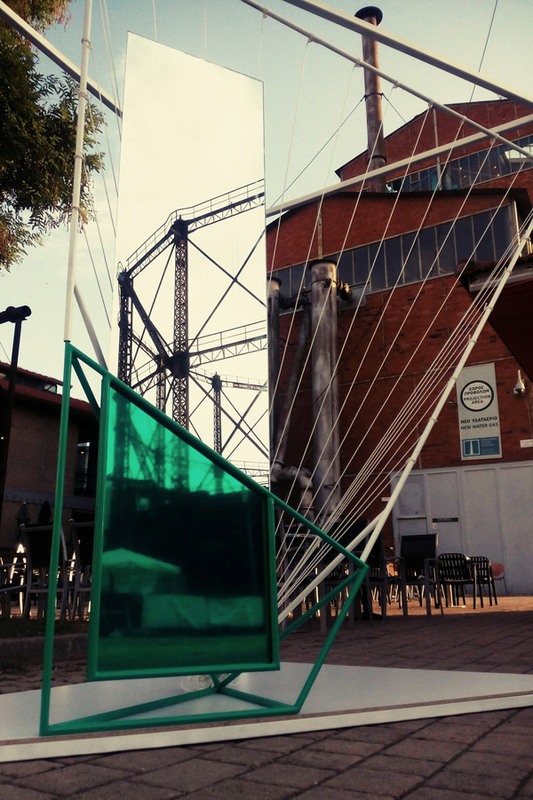 A dive in a thin, metal framework tints the mirror with blue, copper and grey shades. 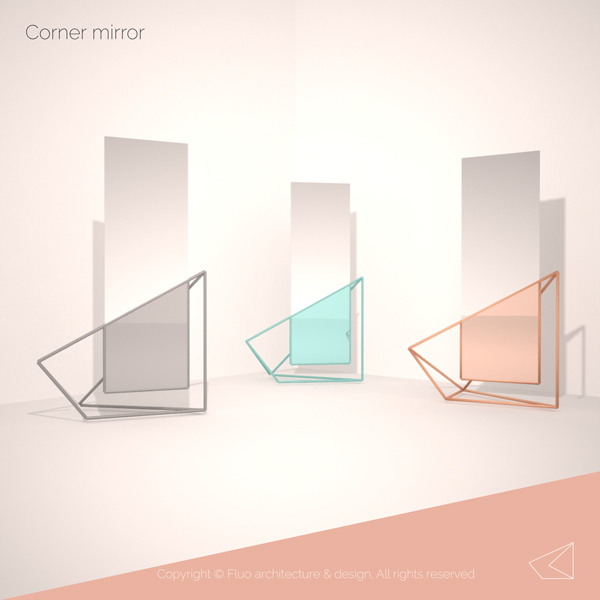 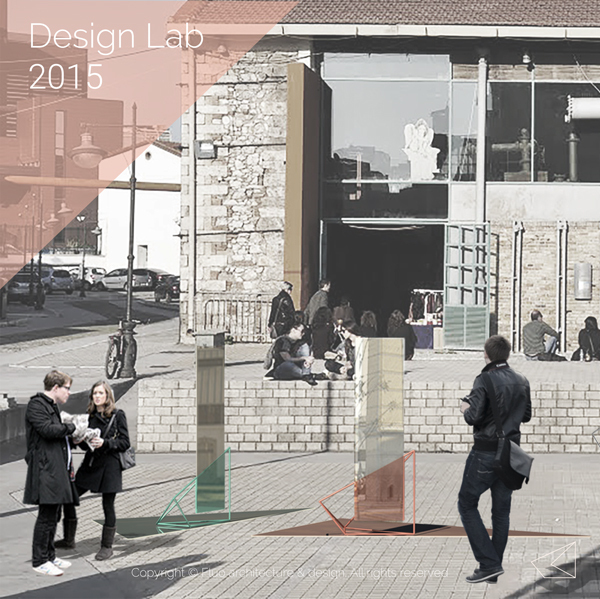 The concept installation that was presented in Design Lab 2015 reveals the design process behind the creation of the collection.